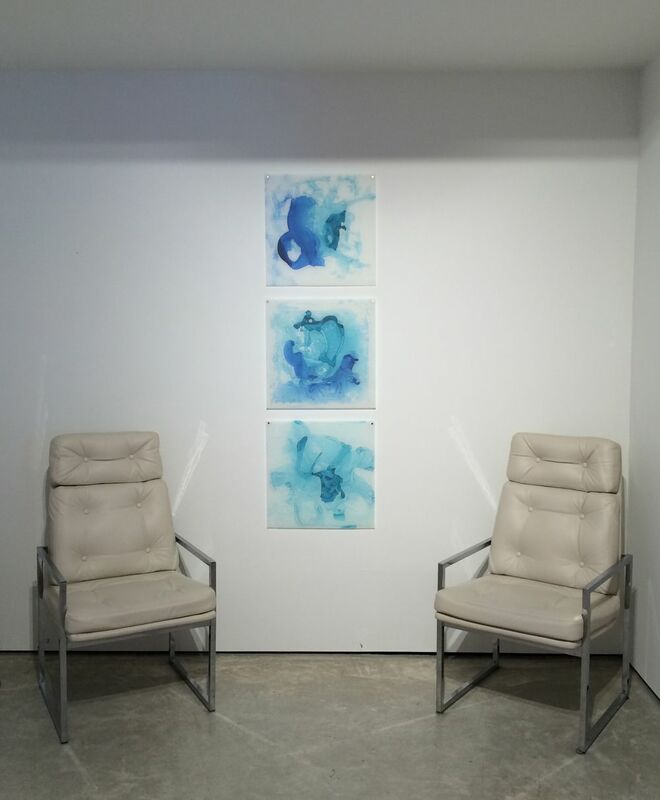 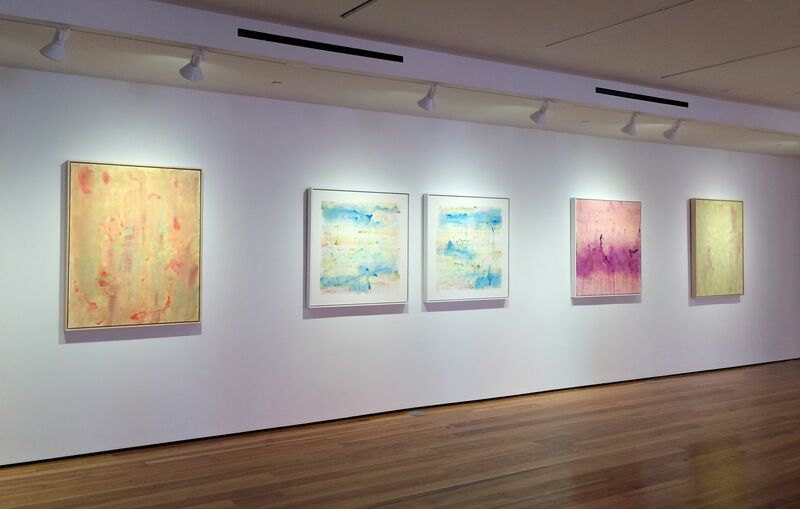 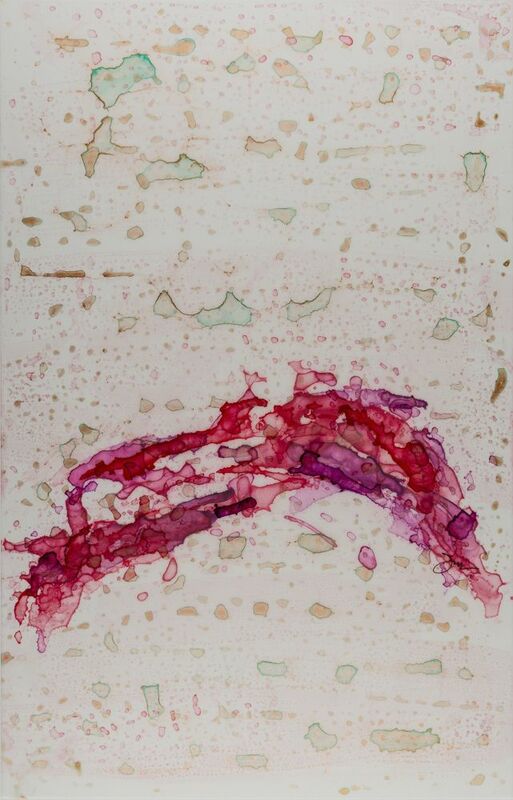 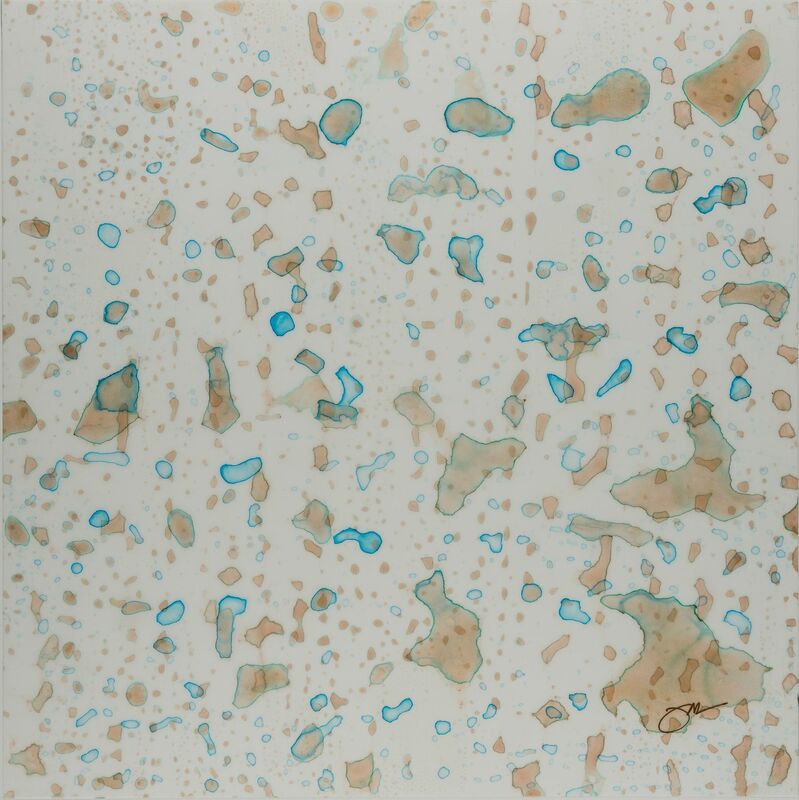 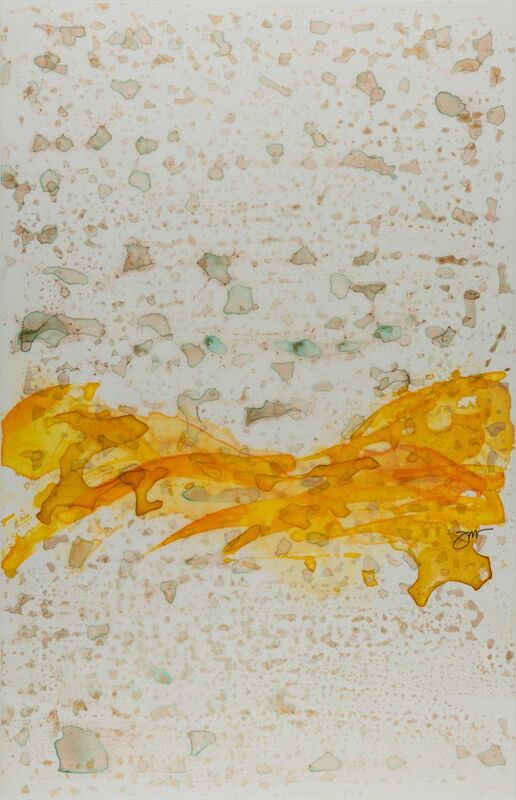 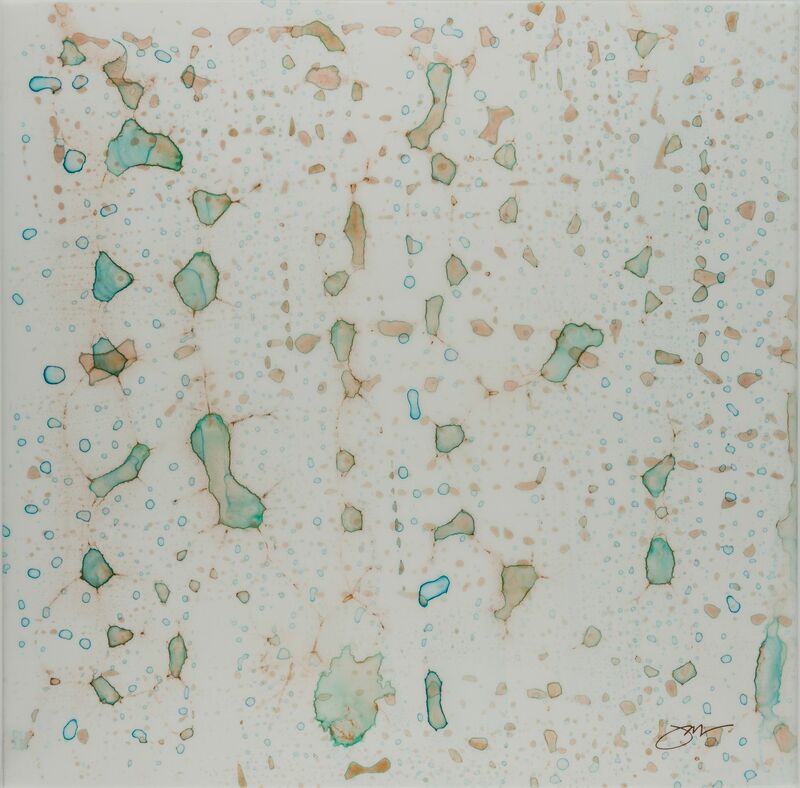 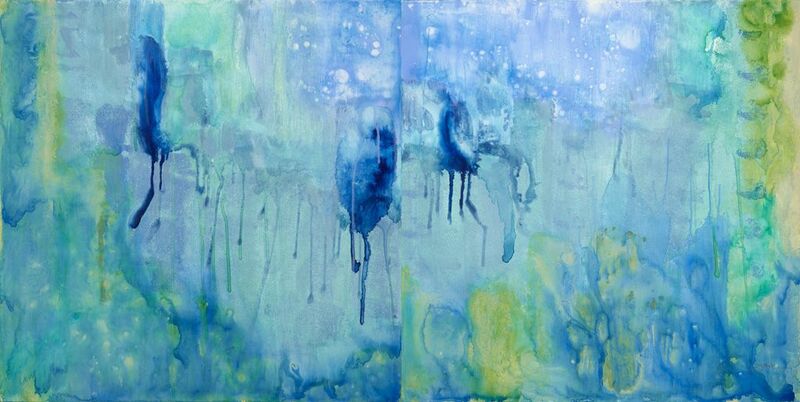 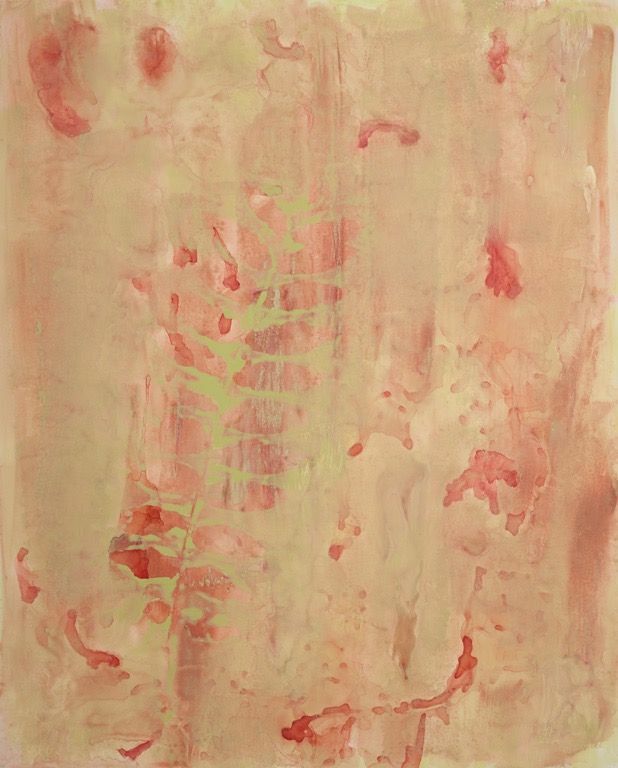 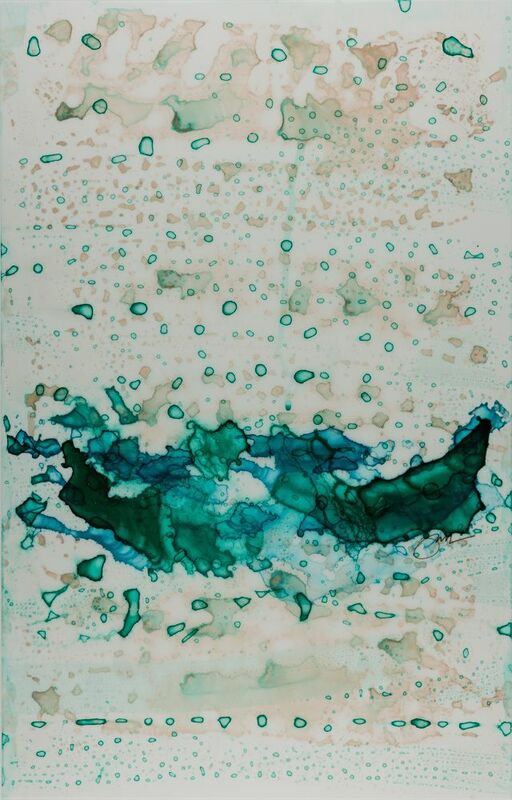 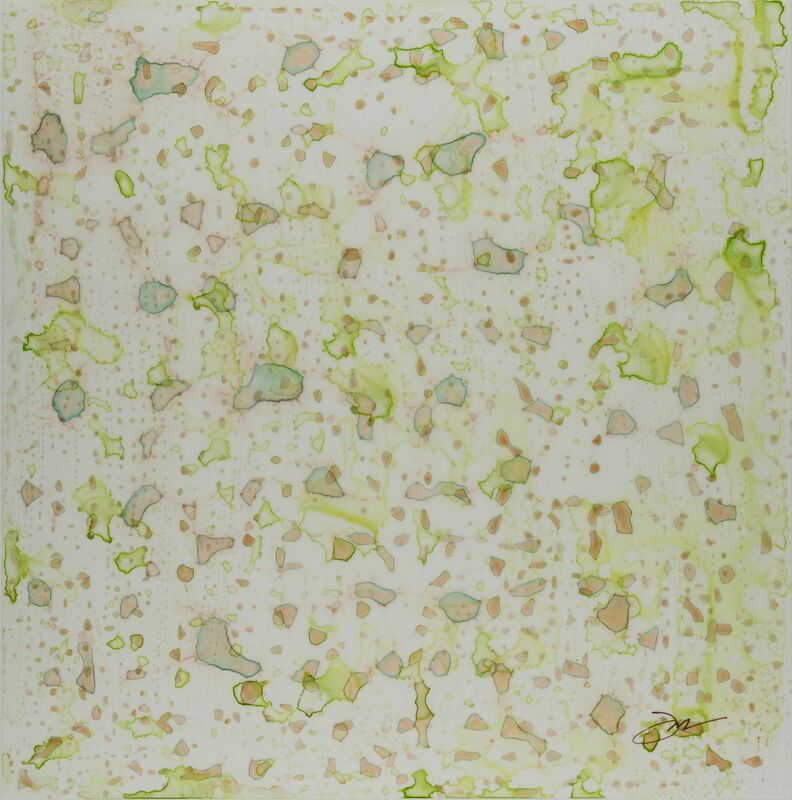 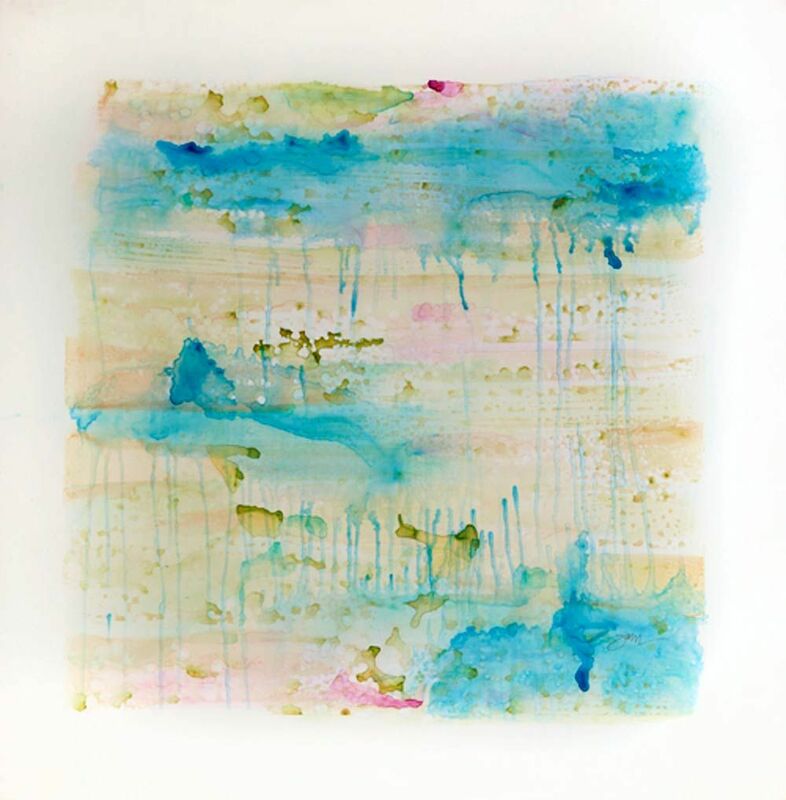 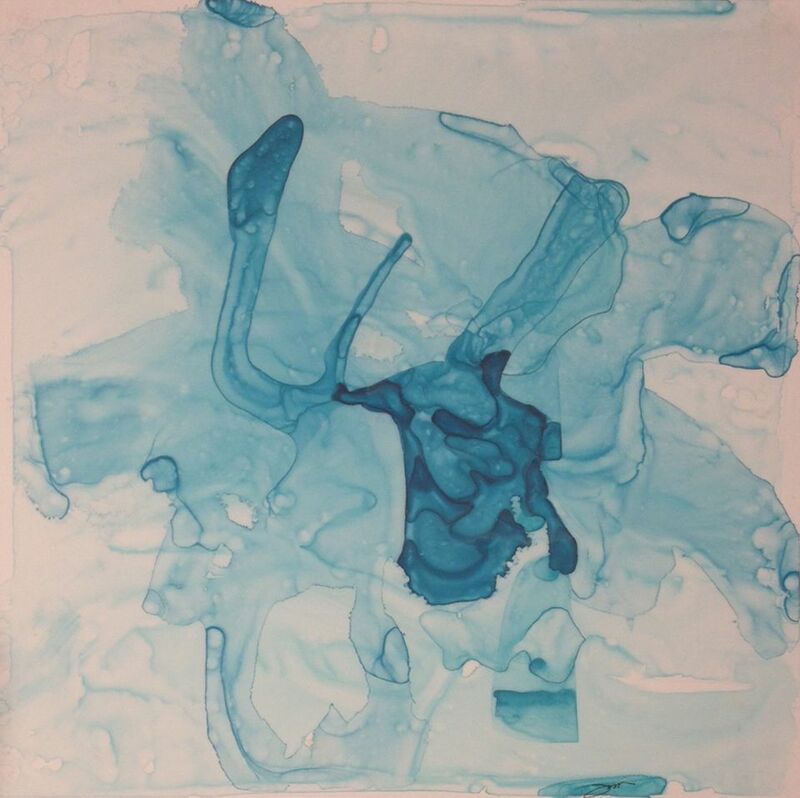 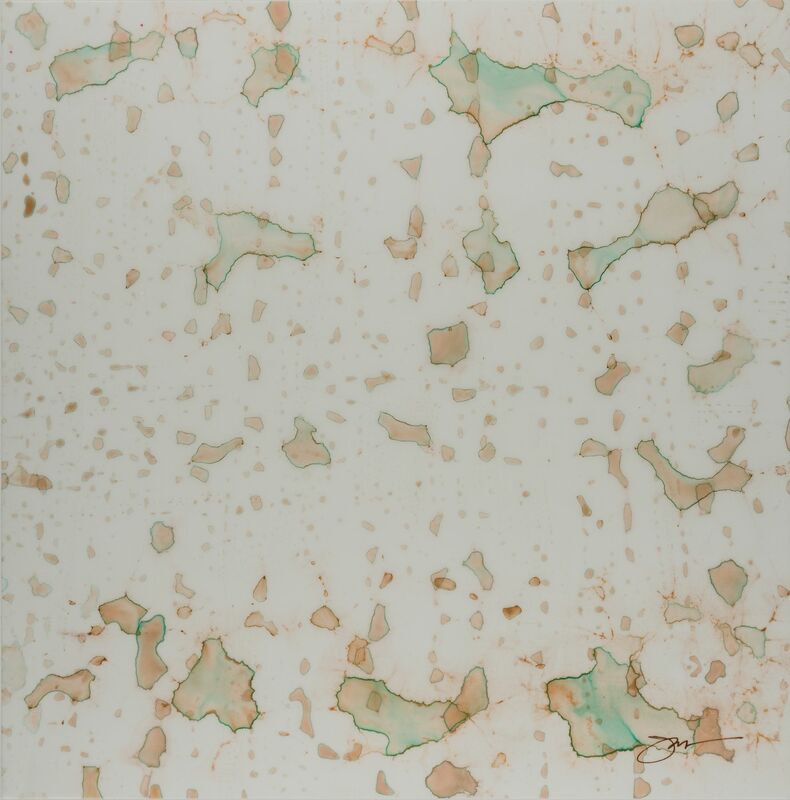 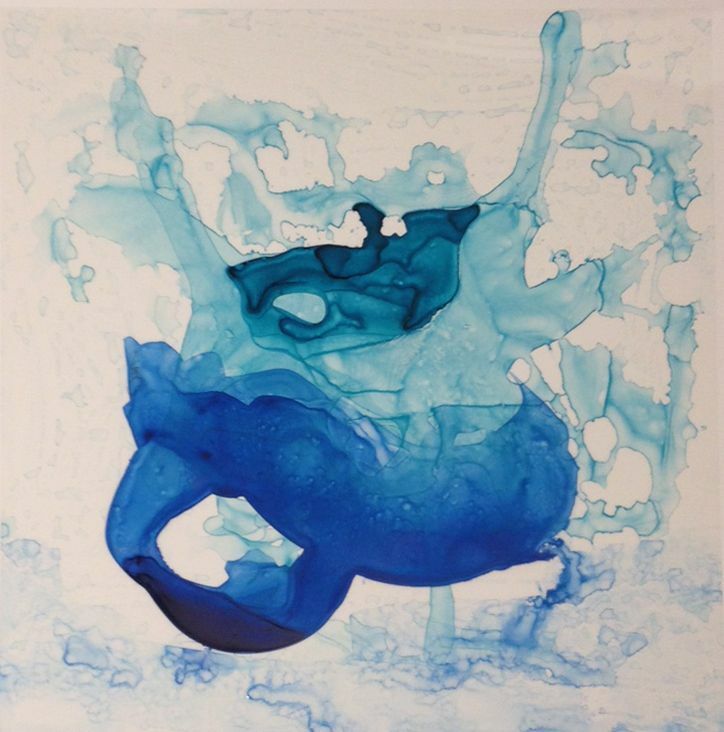 Julie Robinson’s mixed media works on translucent polyester film are beautiful examples of lyrical abstraction. 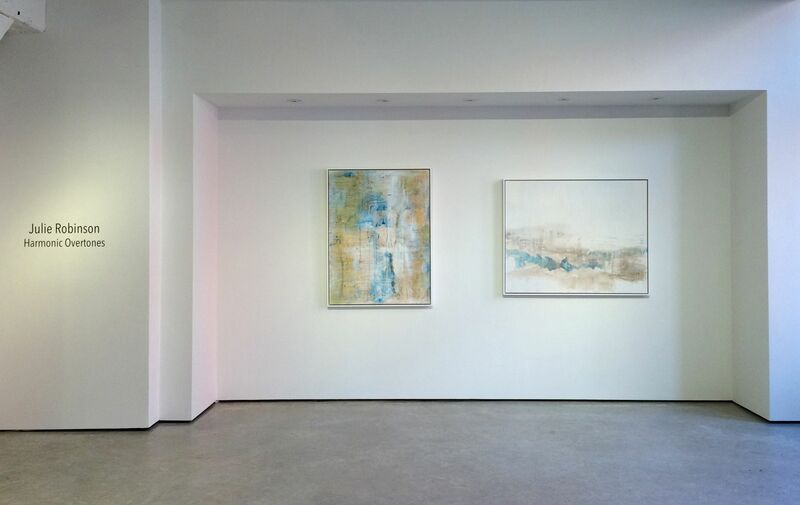 Inspired by the ethereal, her paintings push beyond what we encounter everyday, creating spaces that are both playful and meditative. 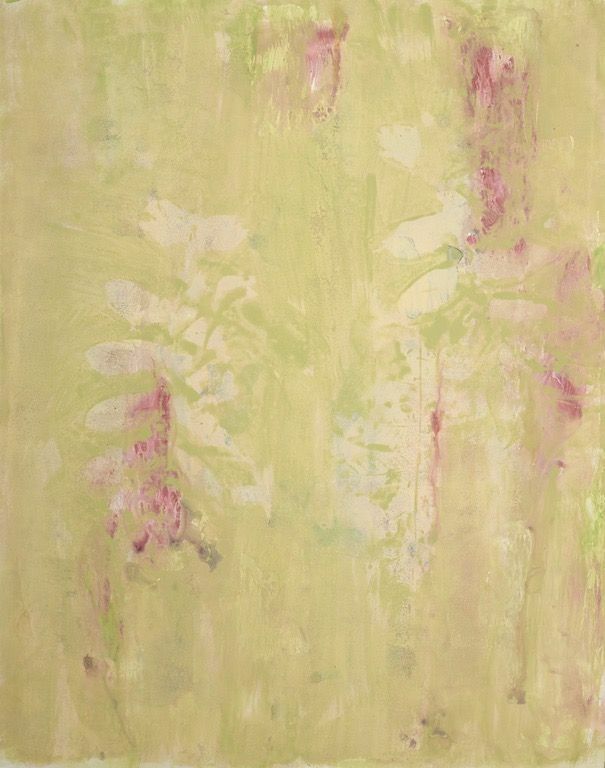 Composed by layering numerous glazes and intuitive gestural marks, there is a depth and immediacy in her work. 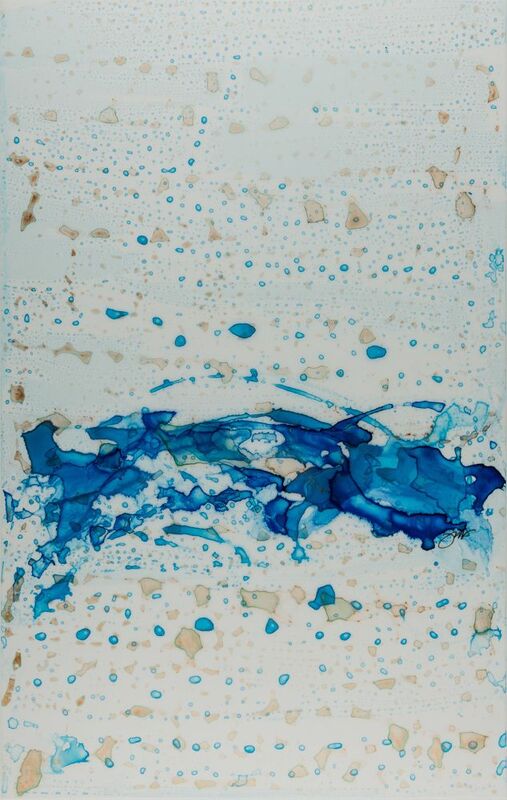 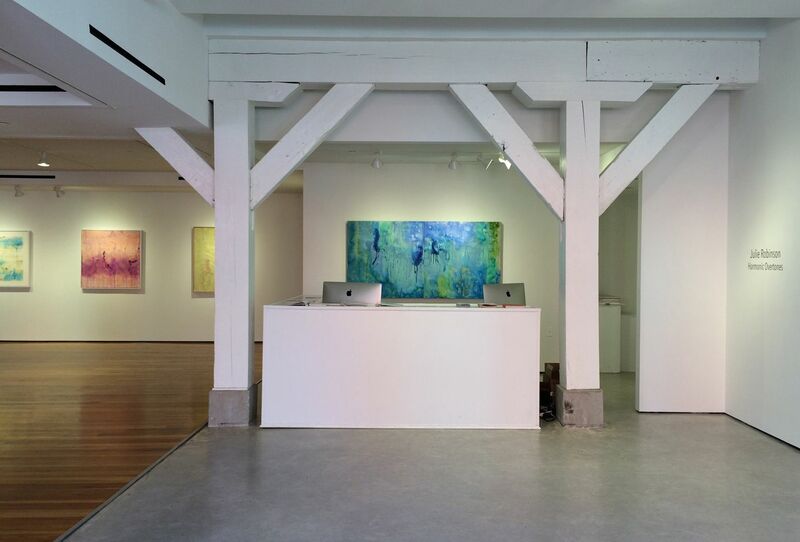 Robinson’s work is balanced in its ability to be both familiar yet fresh, and energetic yet tranquil. 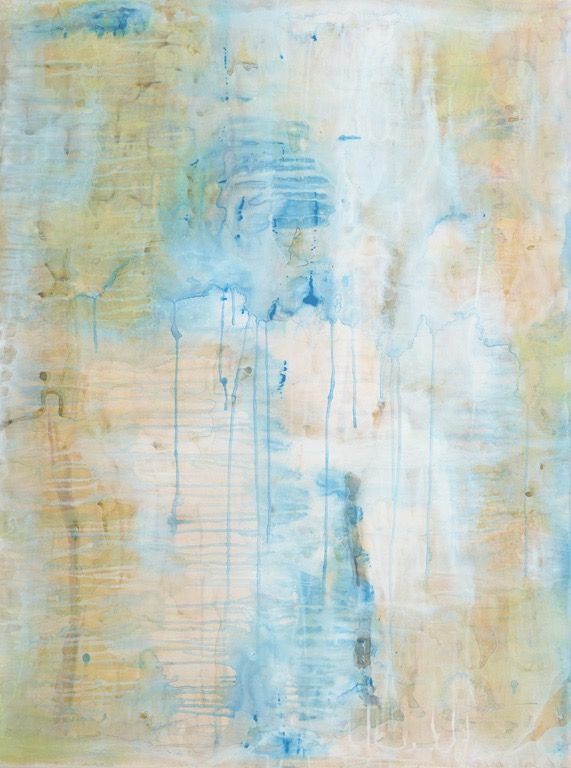 There is a fluidity and cohesion to her work that makes each mark appear to be part of the next, tapping into the intuitive aspects of our human nature. 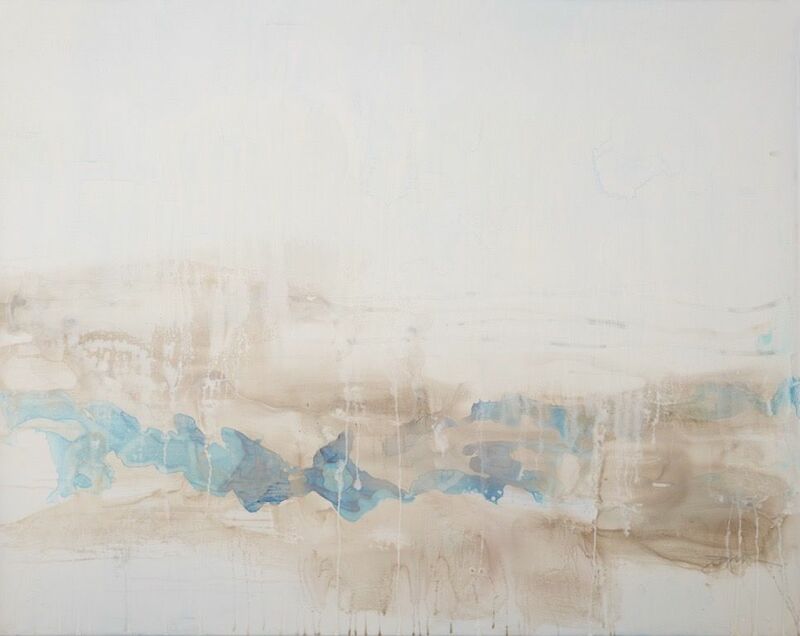 Robinson’s paintings are approachable and invite the viewer to a personal experience. 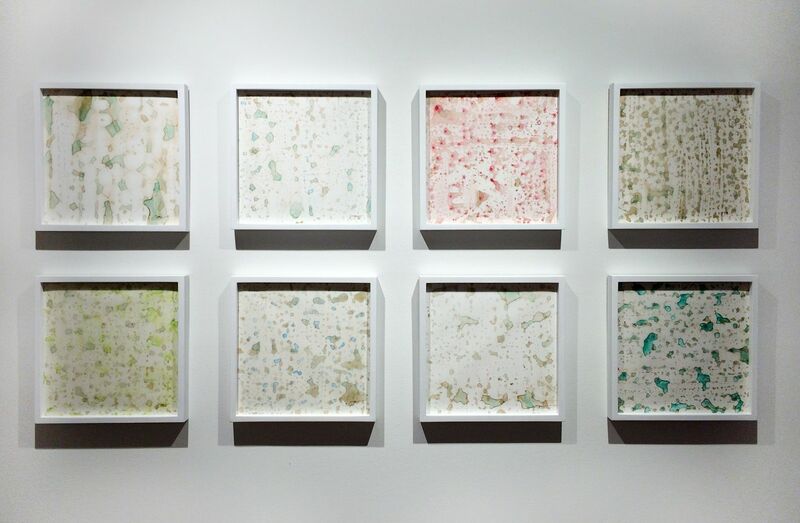 Additionally, for this exhibition Robinson has created an installation of small works on Mylar entitled Bless This City. 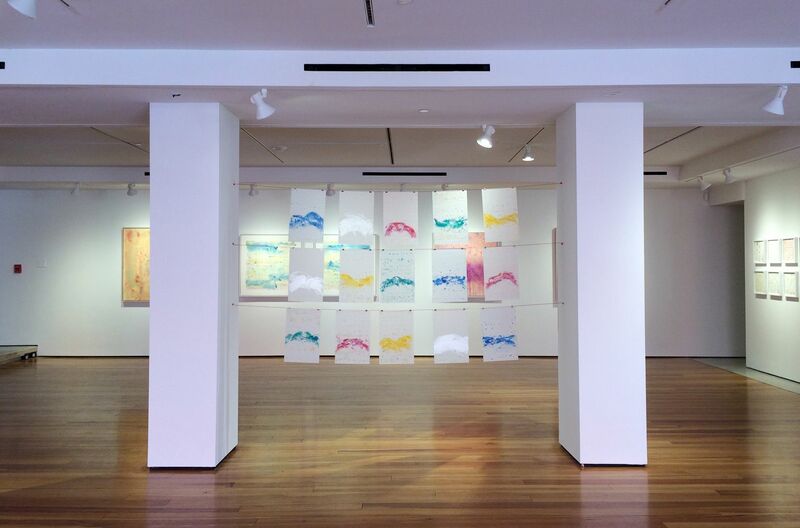 The installation is the artist’s contemporary adaptation of traditional Tibetan prayer flags and with this piece, Robinson intends to harmonize the environment and bring blessings to the city of New Orleans. 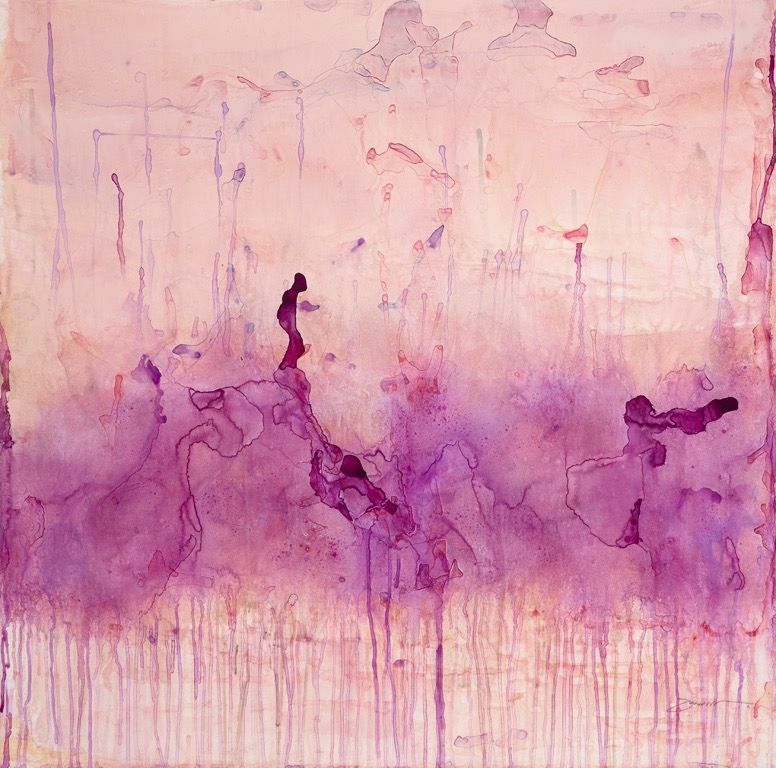 Robinson studied at the University of New Orleans and New Orleans Academy of Fine Arts. 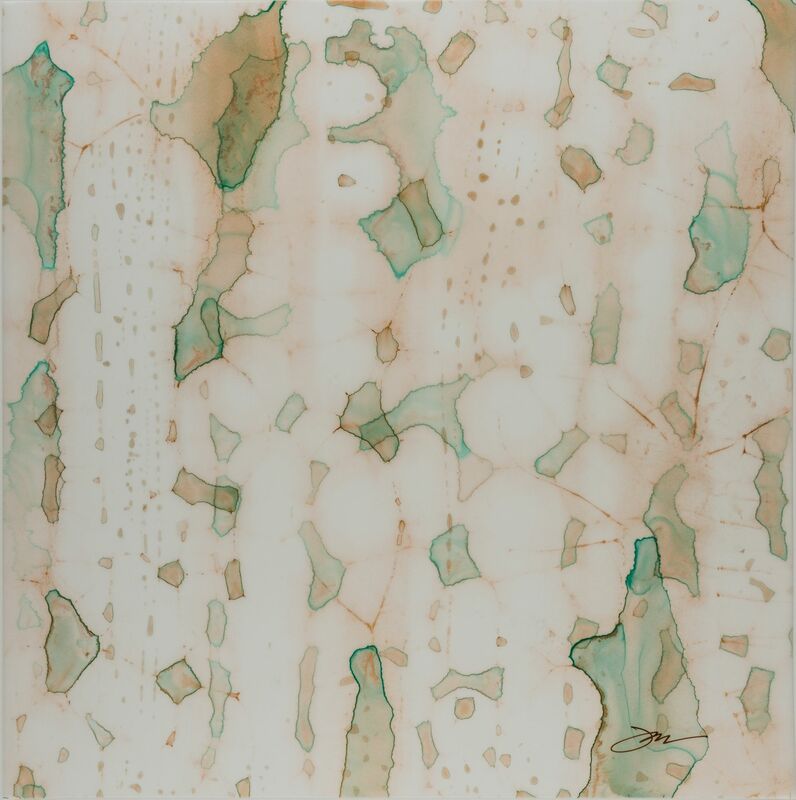 She received her MA in Architecture from Tulane University and lived in New Orleans for 30 years. 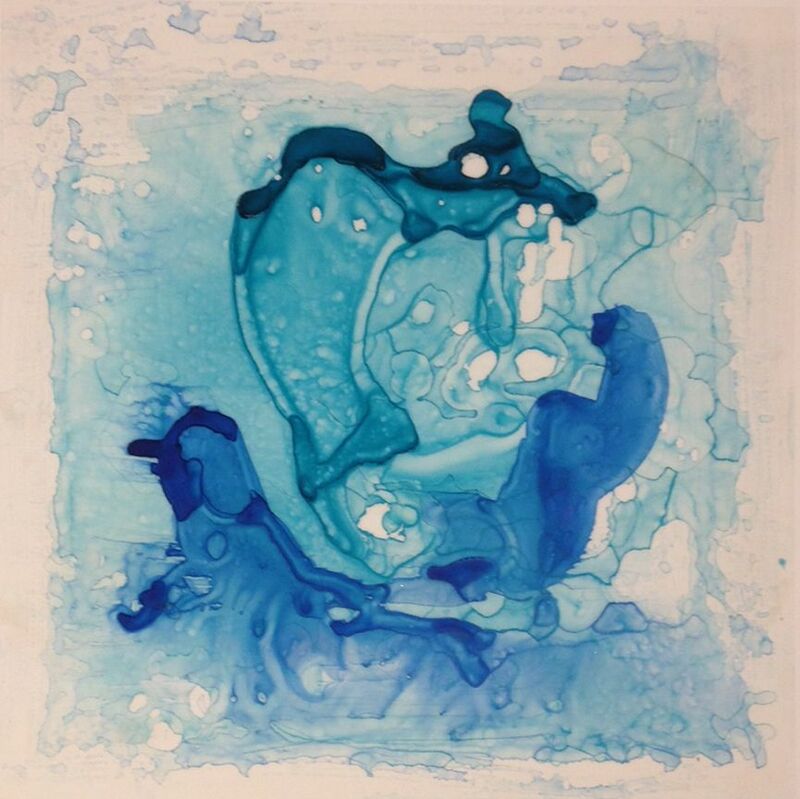 She now lives and works between New Orleans, Louisiana and Asheville, North Carolina and was selected for “On The Verge” by WNC Magazine as one of the top ten emerging artists in Western North Carolina. 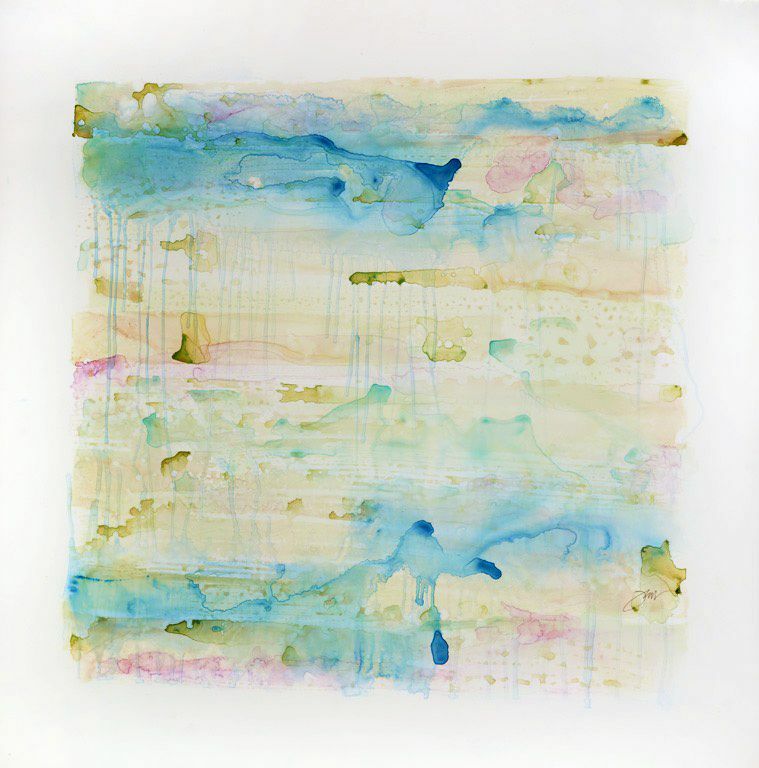 Robinson’s work is included in notable private collections in New Orleans, Houston, Asheville, and Berkeley.